AA. VV. 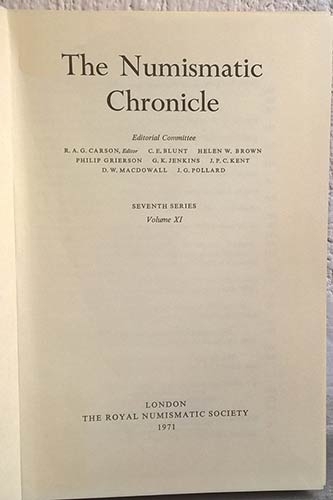 – The Numismatic Chronicle. Seventh series. Volume XI. London, 1971. pp. 379+lx, tavv. 38.